The Hoëgne is a river in Belgium, a left tributary of the Vesdre. Its source is in the High Fens of eastern Belgium, near the Signal de Botrange. 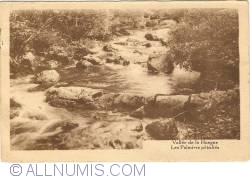 The Hoëgne flows through Theux, and ends in the Vesdre in Pepinster.